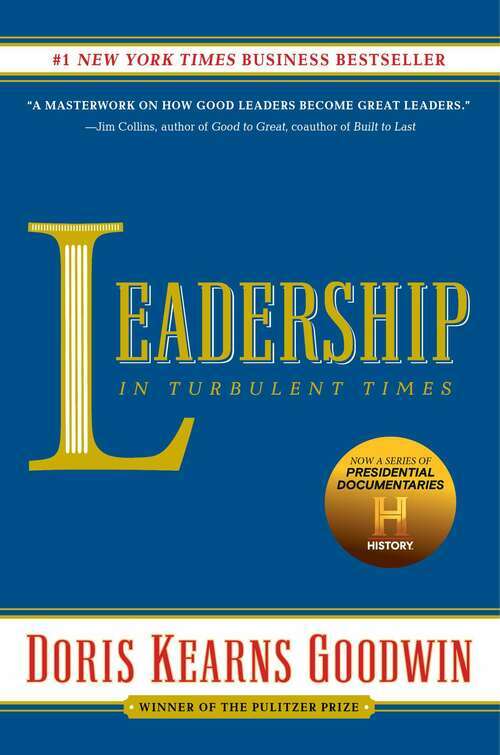 In this culmination of five decades of acclaimed studies in presidential history, Pulitzer Prize-winning author Doris Kearns Goodwin offers an illuminating exploration of the early development, growth, and exercise of leadership.Are leaders born or made? Where does ambition come from? How does adversity affect the growth of leadership? Does the leader make the times or do the times make the leader? In Leadership, Goodwin draws upon the four presidents she has studied most closely—Abraham Lincoln, Theodore Roosevelt, Franklin D. Roosevelt, and Lyndon B. Johnson (in civil rights)—to show how they recognized leadership qualities within themselves and were recognized as leaders by others. By looking back to their first entries into public life, we encounter them at a time when their paths were filled with confusion, fear, and hope. Leadership tells the story of how they all collided with dramatic reversals that disrupted their lives and threatened to shatter forever their ambitions. Nonetheless, they all emerged fitted to confront the contours and dilemmas of their times.